Scores of buyers representing top tourist businesses from Oman and the Middle East came to attend the travel gathering table top session at the Sheraton Hotel in Muscat, capital city of Oman on Tuesday, 3rd October 2017. The event is an inseparable part of the Wonderful Indonesia Indonesia Festival, that is ongoing from 2nd to 5th October 2017. Avidly discussing possibilities to visit the multiple wonders of Indonesia with their Indonesian counterparts, most of these buyers were amazed by the sheer beauty of the numerous underwater wonders spectacles across the Indonesian archipelago. Attracting tour and travel operators from across the region, the session recorded attendance of 74 buyers from 48 Middle East's top travel businesses. Presented by the Deputy for International Marketing, I Gde Pitana, and Nia Niscaya, Assistant Deputy for Europe, Middle East, America, and Africa of the Ministry of Tourism, the table top session was officially opened by the Ambassador of the Republic of Indonesia for Oman, H.E.Musthofa Taufik Abdul Latif. "This is an exceptional event, the Indonesian Embassy together with the Ministry of Tourism have received an overwhelming response. The curiosity and interest of buyers are overwhelming, sellers from Indonesia have been kept busy responding to all inquiries on various destinations across Indonesia. We are truly grateful" said Ambassador Musthofa Taufik Abdul Latif. At the session, Indonesia's travel businesses as sellers gave insights and offered attractive packages to buyers as and invited guests. The Visit Indonesia Tourism Officer (VITO) for the Middle East, Nour Aridi also gave a brief presentation about the wonders of Indonesia to all invitees. Combined with a gala dinner, the travel gathering was highlighted with traditional dance performances. Promoting and selling packages to various destinations across Indonesia, the 4 sellers, namely: Astadala Tour, Tambatan Hati Tours, Go Indonesia Tours, and Travel in Style could hardly take a break since the transaction desks kept being filled with eager buyers. "Alhamdulillah (thank God), tonight we have recorded many business transactions and received precious recommendations from the travel industry in Oman. These include the sharing of special interest groups who are most likely attracted to Indonesia, such as families on vacation, newlyweds who wish to go on honeymoon, and young people who seek adventure and watersports" commented Ameer Brontoari from Astadala Tour. Ameer added that Indonesia is among favorite destinations for tourists from Oman, especially in Summer.The friendliness and warmth of the Indonesian people are great pull factors that draw their interest to visit the archipelago. He further mentioned that many have also begun to show interest in Indonesia's outstanding underwater wonders. "This is a great opportunity for us to promote new destinations and priority programs such as marine tourism, culture and adventure, and community based tourism. We received overwhelming inquiries on underwater destinations that are rapidly rising in popularity such as Bali, Komodo Islands, Raja Ampat, and other exceptional dive destinations that have captivated many future tourists from Oman" said Ameer. On a similar tone VITO Head, Nour Aridi, also confirmed that tourists from the Middle East are amazed by the magnificent underwater splendors of Indonesia, and they eagerly wish to come and experience these firsthand. Meanwhile, the Assistant Deputy, Nia Niscaya confidently explained that when it comes to underwater wonders, Indonesia is definitely the ultimate destination. 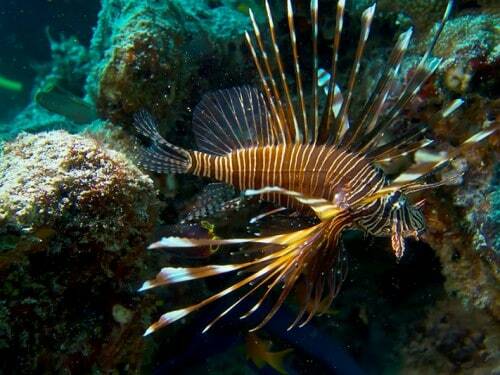 "Indonesia has over 700 known superb diving and snorkeling spots. Places such as Sonegat, Keraka Island, SyharirBatuKapal Island, Hatta Island, and Ai Island, are just to name a few that are very popular among avid international divers. We have 20 dive spots in Bunaken , North Sulawesi; 88 dive spots in Lembeh Strait ; 3 dive spots near Weh Island in Aceh; 50 dive spots in Alor, 28 dive spots in Derawan; as well as countless others in the Wakatobi National Park, Labuan Bajo-Komodo National Park, Cendrawasih Bay, Raja Ampat, and much, much more" said Nia Niscaya.